This week is National Eating Disorders Awareness Week, so we wanted to address a serious problem that we know a lot of you have faced: what do you do when you think your friend has an eating disorder? Do you confront them? Get them help? Hope they come out of it themselves? We don’t get all that serious in these parts very often, but this is a really important topic. And as a friend, you can really help to possibly even save the life of your friend. Eating disorders are serious business, and it’s estimated that 30 million people in the U.S. will be impacted by an eating disorder at some point in their lifetime. A popular misconception about eating disorders is that if someone has one, it will be obvious by his or her low weight and starvation habits, but eating disorders run the gamut of behaviors, ages, races, weights and sizes. 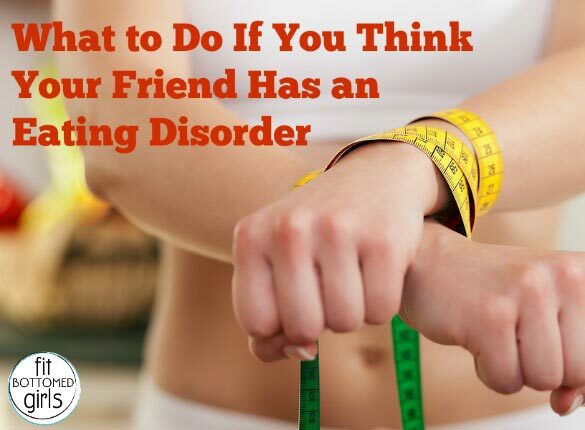 So if you have a friend who is exhibiting some of the signs of having an eating disorder, here are the dos and don’ts and how you can best help from the National Eating Disorders Association. When initiating a conversation with someone who may have an eating disorder, it is important to remain supportive, non-judgmental and let them know that they are not alone. Wow. This is great help. Everyone could use these tips. Very useful tips. Most of us are guilty at not being considering enough when trying to help our loved once. Your tips might help handle the situation in a better way. Thanks!